World antibiotic awareness: are we doing enough? Read a cross-journal collection highlighting key research papers on Antibiotic Resistance from the FEMS journals and the Journal of Antimicrobial Chemotherapy. Microorganisms resistant to treatment pose as one of the biggest threats to global healthcare and have been identified to be present globally. This current healthcare crisis is more generally known as antimicrobial resistance (AMR), and refers to the ability of bacteria, viruses or parasites to stop an antimicrobial (antibiotics, antivirals and antimalarials) from working. If untreated, AMR could be responsible for ten million deaths per year by 2050. As well as threatening the welfare of the population, and increasing the spread of disease, AMR can have a dramatic effect on the country’s GDP. When bacteria are resistant and a disease can’t be treated by first-line antibiotics, more expensive medicines must be used. This increases healthcare costs across sectors and increases economic pressure. In the UK alone, infections as a result of drug-resistant bacteria currently cost the NHS £180 million a year. This figure is only set to rise if actions and plans to slow resistance and increase awareness are not put into practice. Without treatment guidelines, antibiotics tend to be both over-prescribed and overused by health workers and vets, especially in those countries which may not have access to the latest recommendations. Antibiotics are only effective against bacterial infections, and prescribing for viral infections further adds to the overprescribing dilemma. When prescribed, patients not finishing their treatment further add to the problem and expose the bacteria to lower concentration levels of antibiotics. With this not all bacteria are killed, and eventually, an entire resistant bacterial population evolves. These bacteria then do not respond to treatment with conventional antibiotics and resistant diseases, such as MRSA and C.difficile emerge. 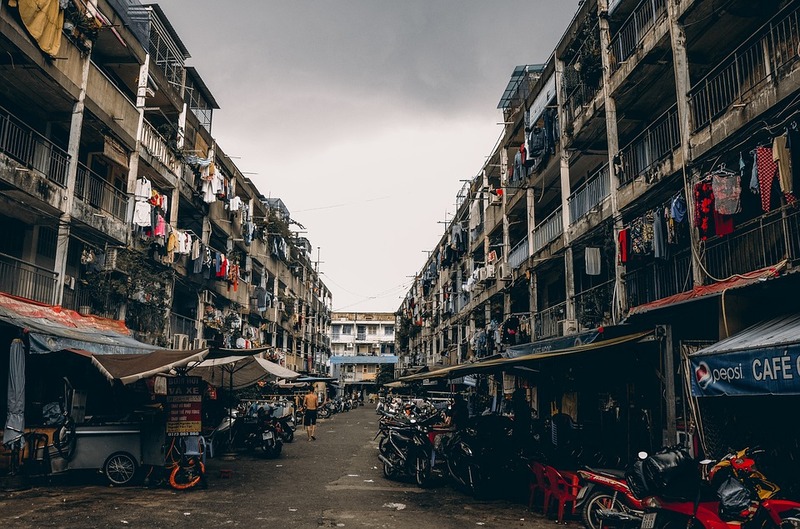 With constant urbanisation, especially in lower income countries, coupled with a lack of hygiene and inadequate sanitation, diseases spread more easily through the densely populated area. Image credit: People City Poor by Sanshiro. CC0 via Pixabay. In countries where there are no sale restrictions i.e. no required prescription needed for animal or human use, there tend to be higher levels of resistance. 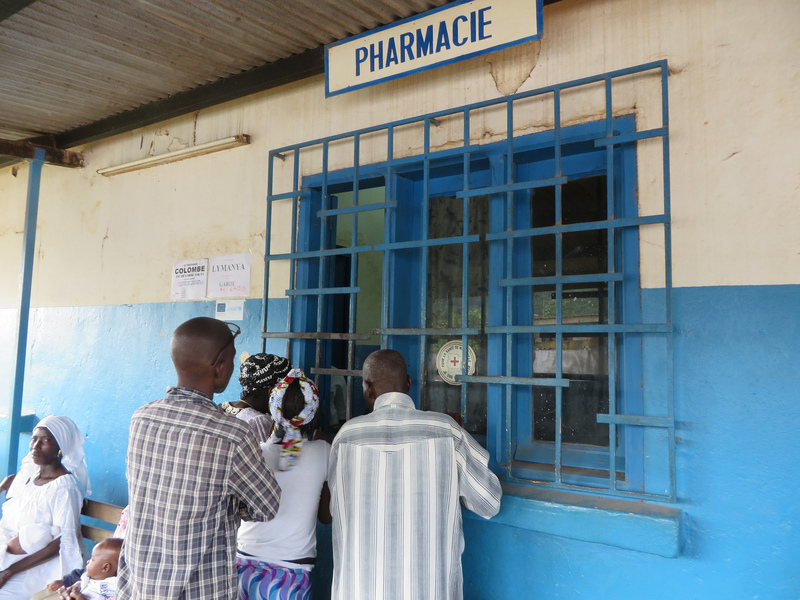 In developing countries, the sale of counterfeit medicines on the black market is a main contributor to the problem. The World Health Organization (WHO) estimates one in ten drug products in low and middle-income countries are either substandard or falsified, with regards to the active ingredient. These medicines aren’t as effective as legitimate products and so surviving bacteria are able to build up resistance to these as well as the authentic drugs. According to an analysis by the WHO, these regions are less likely to have national regulatory standards or the ability to enforce them effectively. You might be thinking ‘why can’t we make more drugs?’ The problem is that big pharma companies don’t get the returns they want manufacturing antimicrobial drugs than they would do for other therapeutic areas, such as cancer treatments. As a result, the antibiotic pipeline stream is rapidly drying up, with less than ten big pharmaceutical companies still investing in research and development of this drug class. With resistance growing and the opportunities to combat associated diseases shrinking – what are we currently doing and is it enough? This plan calls for a coordinated global approach to tackling antibiotic resistance, across sectors such as human and animal health as well as agriculture. Whilst the challenge against antibiotic resistance is extensively recognized, many countries do not have the policies in place to confront the problem. Stakeholders and policymakers need to ensure a robust national plan is in place and as well as improving surveillance of these infections and implementing policies, it is equally important to educate on the proper use of antibiotics. Whilst primarily a prevention strategy, educating the public on the consequences of improper use should also be seen as a high priority – so everyone understands the importance of the matter. The UK government objective to reduce inappropriate prescription of antibiotics by half in 2020 is underway and with two years left to go, progress has been made. Since implementation of the current strategy in 2013, the use of antibiotics has decreased by 2% in humans and by 10% for animals. Elsewhere in Europe, a north-south gradient has been observed with lower levels of resistance in Scandinavian countries, compared to higher rates in Southern Europe. However, generally, most countries have policies in place and levels of public awareness around AMR are relatively high. The level of priority in the United States is similar to that of the UK. Again, it is not just the citizen’s health that is affected. In 2008, the United States lost approximately $35 billion as a result of hospital stays, premature deaths and sick pay due to antibiotic-resistant infections. Extensive national strategy plans are in place from the Centers for Disease Control and Prevention at all levels of society from public awareness to healthcare practitioners. 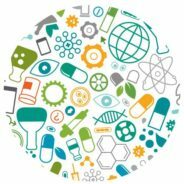 In order to address the lack of drugs themselves, The Generating Antibiotics Incentive Now Act was meant to incentivise the development of new antibiotics by fast-tracking approval and guaranteeing market exclusivity. As of last year, less than ten drugs have triumphed via this route, and so this serves as a perfect example that tackling AMR is not as easy as it sounds. Image credit: Partnership for Transition in Côte d’Ivoire by EU Civil Protection and Humanitarian Aid Operations. CC BY-ND 2.0 via Flickr. With the largest country population, accounting for nearly 20% of the global figure, China has a higher responsibility than most in fighting antibiotic resistance. Health officials have recognized this and in the last ten years, considerable time and money have been invested into the development of suitable strategies. The barrier lies within the complicated structure of the Chinese healthcare system and the recent transition to a market economy. There are huge incentives for healthcare providers to prescribe more expensive drugs, due to the decrease in government subsidies and the need to create their own revenue. As a result, many policies target doctors and health facilities themselves and the privilege for some hospitals to mark-up drug prices has now been revoked. In other regions, implementation of strategies and plans against AMR are a lot less promising, and in 2017 it was reported that just two out of 47 African countries had an active plan. This is of huge concern, as antibiotics are one of the most commonly prescribed medicines on the continent. Over 30% of the African population is able to access antibiotics without a prescription, and of these, 25% obtained them from unauthorized sources. Ghana is the country flying the flag and leading by example, with the most robust plan compared to its neighbours. Launched only earlier this year, a few years behind the WHO plan; it is still too early to evaluate the success of the five-year plan, however, you could argue any strategy is a good strategy. The framework is mostly there, and if not, the resources to build framework certainly are. However, the importance of the strategy is only fully showcased when put into action; when rates of antibiotic-resistant diseases fall, countries maintain their capital and welfare, and the population is fully aware of just how much of a threat AMR is. Featured image credit: Headache Pain Pills by stevepb. CC0 via Pixabay. Kiashini Sriharan is a Science Content Analyst in the Medicine team at Oxford University Press.